It’s about time your cell phone gives you something back! Earn cash back just from doing your regular grocery shopping. 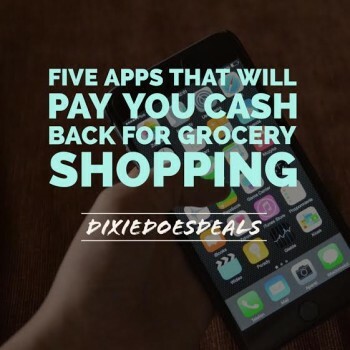 Here are my top five favorite apps that will pay you money back on things you buy every day. 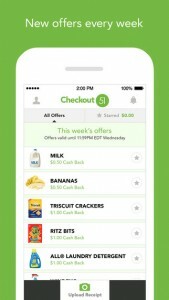 Ibotta: Use this link or enter code uxckkw to get a $10 bonus just for signing up! Do small “tasks” like watching a short video, learning or fact or answering a poll to unlock offers. Purchase the item at any participating retailer, scan the barcode of the item and then upload your receipt to get the money added to your account. 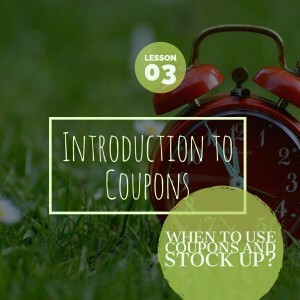 These offers can be stacked with paper coupons to save even more. You can also earn “teamwork bonuses” every month by redeeming more offers. Once you reach $20 in your account you can cash out using PayPal, Venmo or transfer your balance to gift cards. 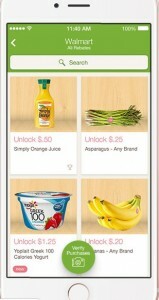 One of my favorite things about Ibotta are the “any brands” rebates. 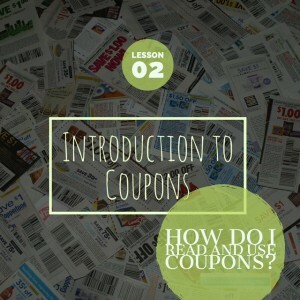 Get money back for things you typically do not have coupons for like produce, milk and bread. 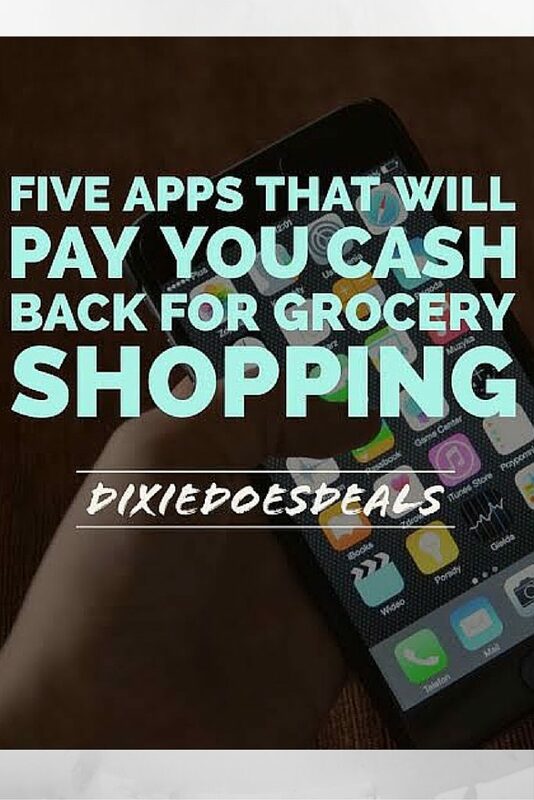 Join the Dixie Does Deals Ibotta Team and get a $10 bonus at sign up by using referral code uxckkw at sign up. Download Ibotta now! Select offers on web or mobile. There are two types of stores for SavingStar. For automatic-savings stores, use your registered card at checkout as you normally do. For receipt-scan stores, take a picture of your receipt and submit through the SavingStar app or website. Check regularly for new deals including our Healthy Offer of the Week and 100% cash back “surprise” freebies during the month. Pay out to a bank account or PayPal account once your account reaches $5. One of my favorite SavingStar features are the “one or many” offers. Select one of these offers for a participating brand or brands and buy matching items throughout the valid dates and earn cash back once you reach the buying the threshold. 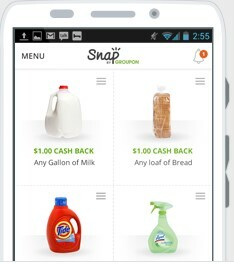 Purchases may be made over multiple shopping trips with these offers allowing you a better chance to earn. Download SavingStar now! Browse your offers and buy products at any store. Upload your receipt using Checkout 51. They will confirm your purchase and credit your account. When your account balance reaches $20, you can cash out and they will mail you a check. Offers go live every Thursdays and expire the following Wednesday. You must upload your receipts while the offers are live. 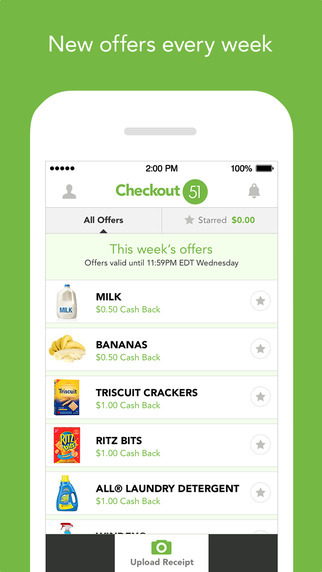 My favorite thing about Checkout 51 is that some offers may be claimed multiple times. Tap into the offer to see its claim limit. Download Checkout 51 now! This post is under construction and will be updated with 2 new money saving apps soon! 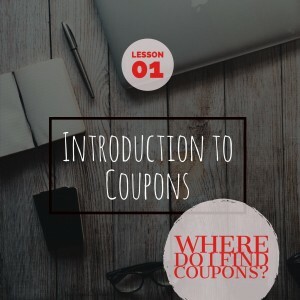 Filed Under: Coupons, New To Coupons? Start Here.